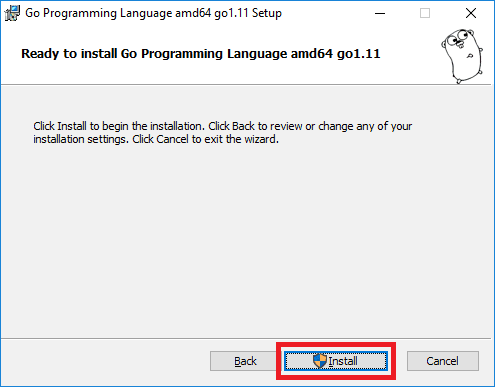 So you want to download and install the Go programming language on Windows? …and how to install it so you can use it from command line. 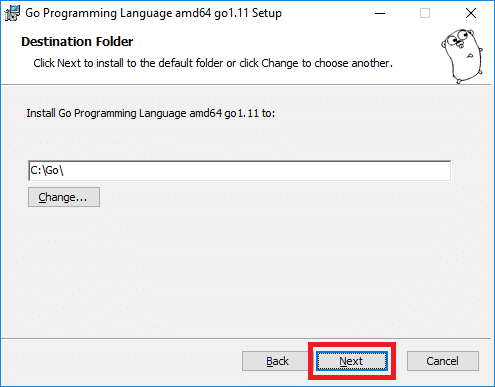 Go (often referred to as Golang) is an open source programming language. It comes with built-in concurrency and is strong and static typed. 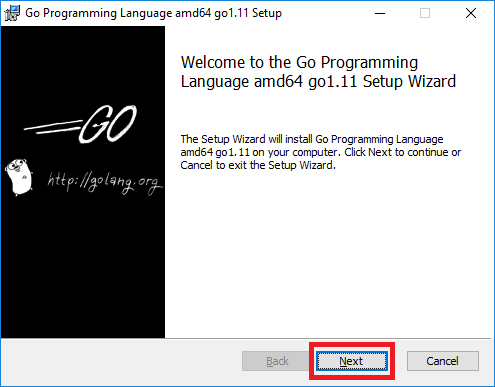 Go is an imperative language that supports object-oriented programming (OOP). Golang is maintained and developed by a team at Google and many contributors from the open source community. Head over to the Golang downloads page. Here you will find all the available binary releases. 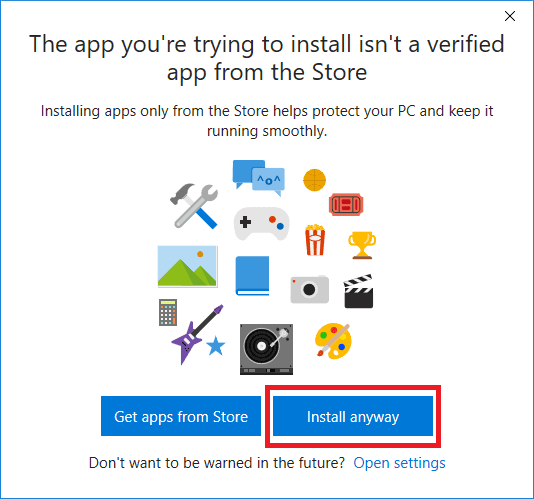 In this tutorial, we will download the 64-bit version. At the time of writing the latest stable Golang release was version: 1.11. 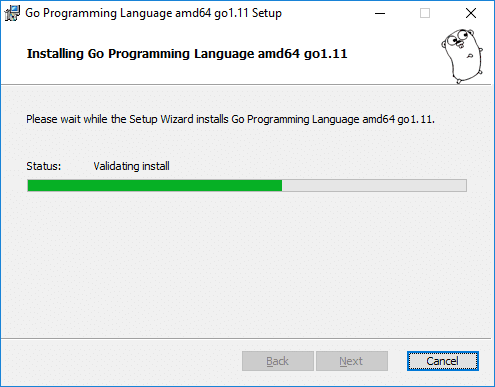 The Golang installer wizard will start. Click Next. 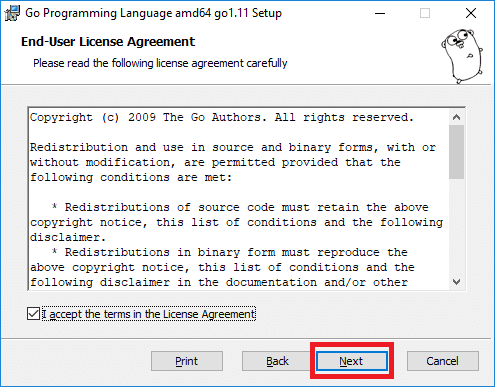 Make sure the I accept the terms in License Agreement checkbox is selected. Click Next. 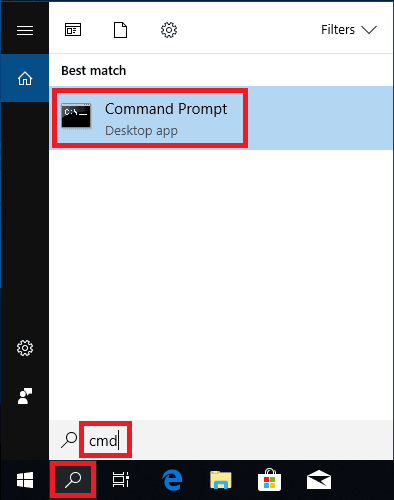 In this example, we keep the default install location of C:\Go\. The Golang installation will now start. Type “go version” and press ENTER. 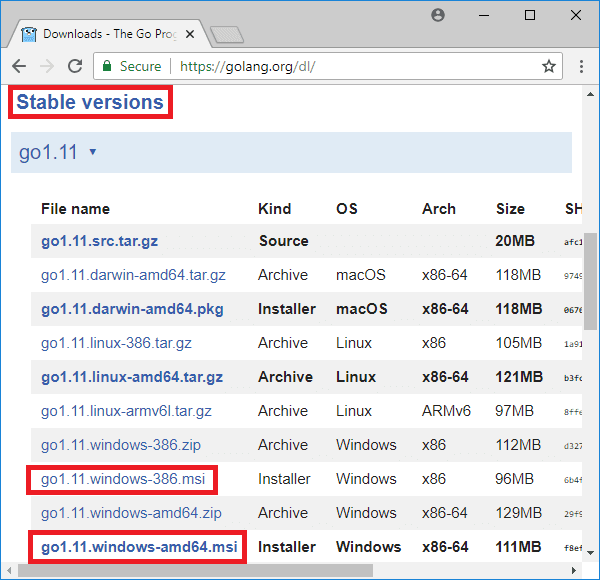 The above command prints the installed Golang version: go version go1.11. 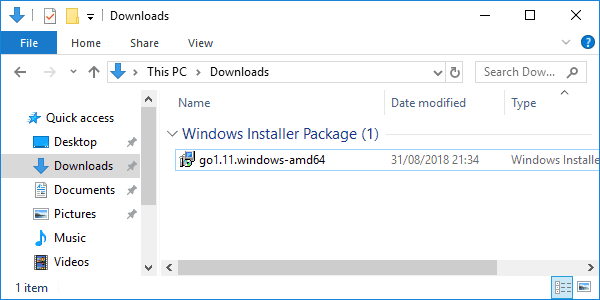 Congratulations, you have installed Golang on Windows 10! If you want to know your GOPATH directory, type “echo %GOPATH%” in a command prompt and press ENTER. Now go ahead and learn some Golang basics.